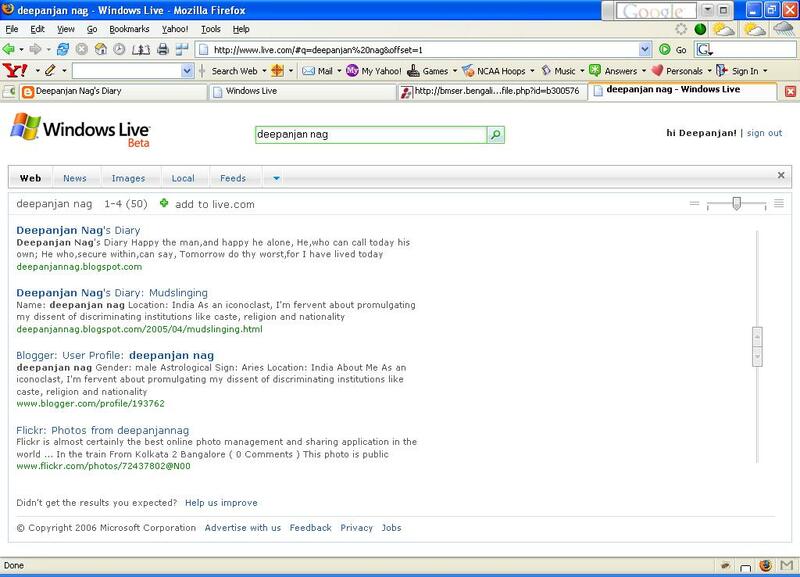 Microsoft has unveiled a revved-up search engine called Windows Live Search. I visited the Live page after a long intermission and was pleasantly surprised at how well it was rendered via Firefox! Newsvine is a great new news site. The milestone happens a day sooner than expected!